Mayor Catherine Pugh and the Board of Estimates have agreed to pay $75,000 to the parents of a nine-year-old boy who died in 2015 after suffering a fractured skull following a fall at a West Baltimore elementary school. The settlement, to be formally approved tomorrow, resolves a lawsuit against the Board of School Commissioners. These funds will supplement a $150,000 settlement that the city made with the boy’s parents last month. The settlement memo leaves unclear the cause of the boy’s injury. The parents’ lawyers could not be reached for comment on the legal agreement, which typically bars plaintiffs from discussing the case with reporters or on social media. 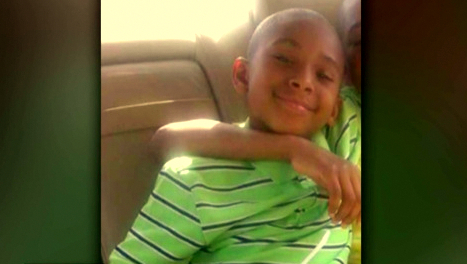 Darius Tyrell Clark died at Johns Hopkins Hospital on September 29, 2015, five days after the third grader was found slumped over and unconscious in a bathroom at the Gwynns Falls Elementary School. According to the summary account, the boy and a friend had left the school cafeteria sometime between 12:15 p.m. and 1:05 p.m “without obtaining permission from the lunch monitors” and went to a bathroom near the back stage door of the auditorium. “At some point thereafter, the plaintiffs’ son fell, sustaining a fractured bone in his skull which tore a large vein causing a subdural hematoma,” the summary sheet said. Despite emergency surgery at Johns Hopkins, the nine-year-old died. While school officials insisted they had “no answers” as to what caused the boy to fall, the family’s lawyer, Tom Yost, took issue with the city’s account, saying it didn’t make sense that a child could have suffered such a traumatic head injury by simply falling down. “Something else had to happen; we just don’t know what it is,” Yost told reporters at the time. Five months later, parents Dache’ White and Bryant Parker, filed a lawsuit in Baltimore Circuit Court asking for a sizable settlement. Earlier White had complained that she was not promptly notified of her son’s injury by the school and that when she got to the nurse’s office that afternoon, she found Darius unresponsive and waiting for an ambulance. A motion by City Schools to dismiss the case was subsequently rejected by Circuit Court Judge Shannon E. Avery, setting up tomorrow’s cash settlement in return for a dismissal of the litigation. Katrina L. Wallace, who handled the case for the Yost Law Group, and Paul W. Spence, a Towson attorney representing the family, did not respond to requests for comment. Nor did Davis Ralph, acting city solicitor, whose office recommended approval of the settlement “because of conflicting factual issues, the fatal injuries and given the uncertainties and unpredictability of jury verdicts,” according to the summary sheet. Occupying a campus building for nearly a week, protesters say plan is tainted by its ties to a “pay-to-play” mayor. Hundreds of students stage a walkout, calling on the university to stop providing training for the enforcement agency.